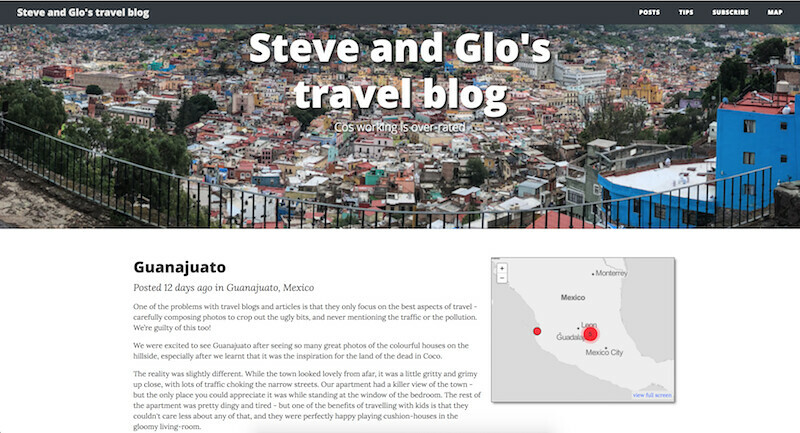 Furthermore, a full-screen map interface allows users to search for blog posts spatially, which is a natural way to think about a travel blog. Other features are integration Flickr support, which makes it very easy for me to upload a whole bunch of photos from Lightroom to Flickr, and then ingest them simply into the travel blog. This also keeps the hosting costs down as all of the large datasets are stored free of charge on Flickr.